The rest of my family are away from home this weekend, so I’m home alone. Turns out it’s a good thing, because I can have the kitchen on my own. And it’s such a great opportunity to clear up the mess in the fridge and try to cook something new without people bussing around. I was inspiring by the idea of making jam by the movie Little Forest. 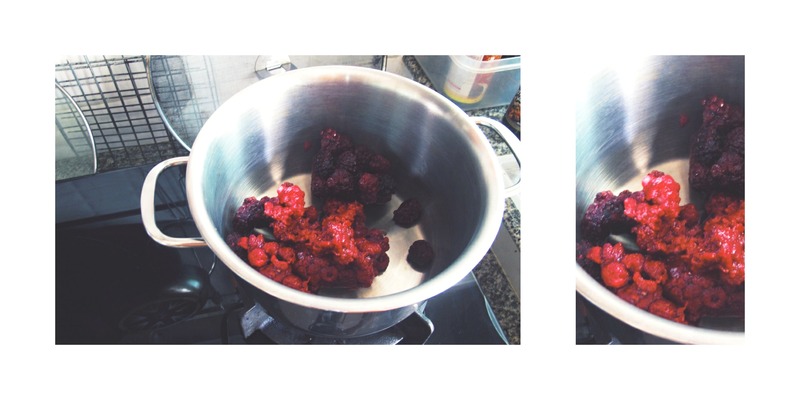 Yes, I’ve made baguettes and bread, and now it’s time to go to the second dish and preserve some berries, which mine are raspberry plus leftover blackberry. Tags: homemade, inspiration, jam, jelly, little forest, movie, raspberries, raspberry jam. Bookmark the permalink.